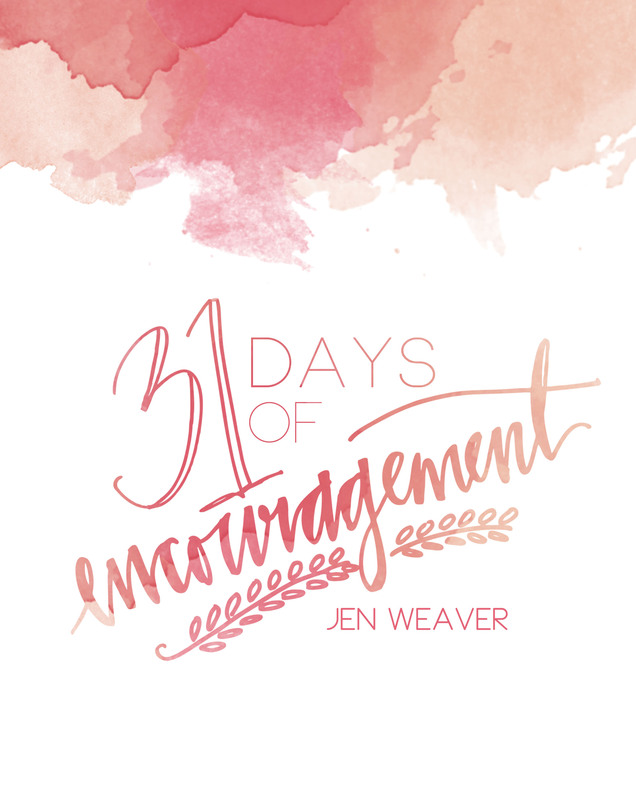 3 Months of Encouragement For Wives - The Gift that Keeps on Giving! Marriage is as incredible as it is hard. I’ve been thinking about this for months as Jared and I face trying circumstances together, prepare for a book launch, and attempt to navigate regular daily life. I’ve seen many days where I could use a little pick-me-up, and it’s amazing how God uses a short message from a friend or a few minutes with Him to revive my spirit. So with that inspiration in mind, I’ve been working on a fun new project and it’s f-i-n-a-l-l-y ready! 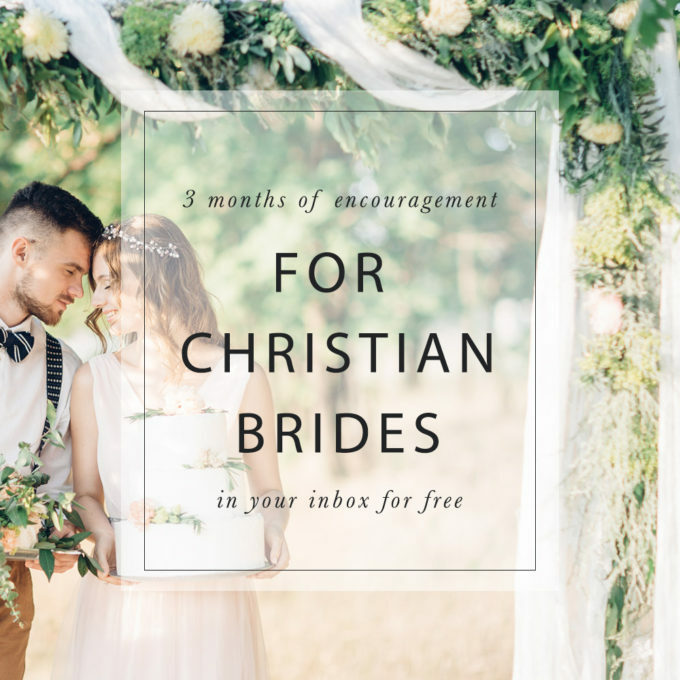 If you’re a wife, or an engaged Bride-to-Be, I have a FREE 3 Month email series just for you! It started with a simple question: If I could talk to my pre-married self, how would I encourage her? And the email series was born, full of fun anecdotes from my wedding antics, and the lessons I’ve learned through the past 8+ years of marriage. Plus, each email ends with practical tips to fortify your marriage relationship—both now as you prepare for your wedding, and for later in your life as a wife. Sign up here and enter the date of your upcoming wedding. If your wedding is further than 3 months out, you’ll start getting these emails starting 12 weeks before your wedding date. If your wedding is sooner than 3 months, you’ll start receiving these weekly emails the day after you sign up. Never fear, customized emails will keep coming after your Big Day until you’ve received the whole 3 month series! It’s not just engaged women that could use a bit of inspiration. Wedding planning can be exhausting and then real life wife-life stuff brings a whole new level of intricacy. So this email series is crafted for us wives! Whether you’ve been married for 2 days, 12 months, or 20 years, these weekly letters will help kindle your love for your husband and encourage you with reminders of the good plans God has in store for your relationship. Each email includes tips for practical application today, and for new seasons down the road. Sign up here and enter your anniversary date. 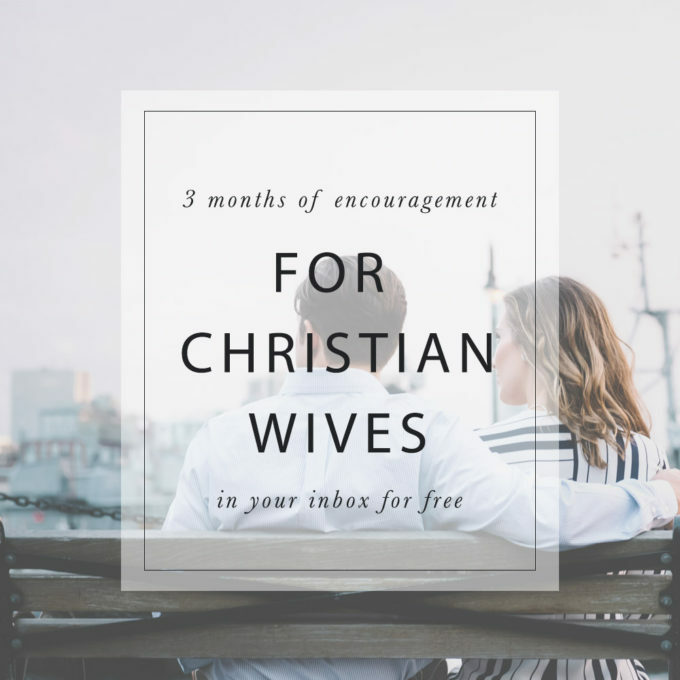 You’ll receive awesome weekly emails to empower your marriage for the next 3 months! No matter which track you’re on, my prayer is that God will use these emails to inspire you at just the right moments. To speak words of His truth into your heart as He affirms His love for you and helps you cultivate your spousal relationship. I thought about offering these as ebooks or even a blog series, but I love the idea of these weekly letters showing up in your inbox. Little electronic gifts to contribute to your day, your week, and your marriage. Ready to get a bit of weekly fun straight in your inbox? Click here to get started! I am trying so hard to make my marriage my mission right now. As I mentioned to you on @Momstrugglingwell, my hubby is a skeptical guy about Christ and I knew this marrying him… I felt that with ME he would surely not take long to convince… But my actions… And reactions, haven’t really been the best example of Christ’s love. I know that I need to humble myself, be more encouraging, love more freely and give my husband more grace than I could ever imagine… But my human side gets in the way, I’m tired, irritable, and just plain mean sometimes. I’m inspired by the mission to work through and live a happy, purposeful maeeiage! I’m praying for you right now Mandie. It’s a worthwhile mission and I’m so excited for how God will come through on your behalf. So glad you reached out!